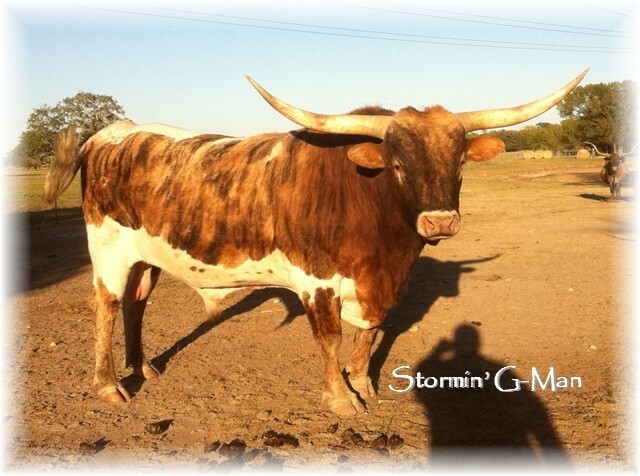 Stormin' G-Man comes to us from Dawn and Darin Divinia, along with his dam- Westward Stormin (out of Bob Moore program). 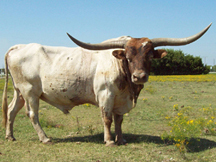 He has replaced our original herd sire, PLR LoneStar Warrior, and is now servicing most of the dams at Thunder Ranch. 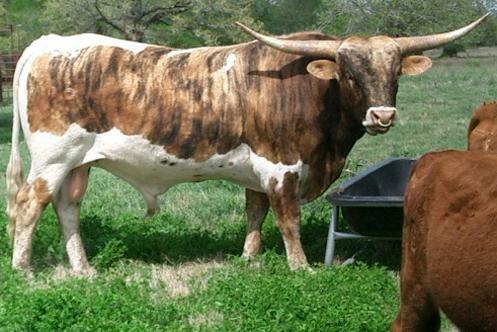 He was previously leased out, and has produced some calves that are putting on some good muscling and color in that herd. 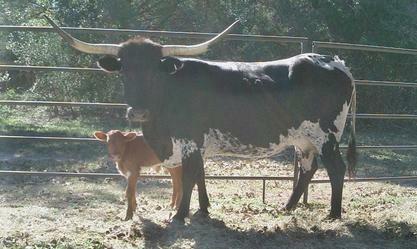 Time will tell with horn production.